The Agricultural Automation and Engineering Club is for graduate students who have a passion for agriculture. We focus on engineering solutions for biological systems. The American Society of Agricultural and Biological Engineers (ASABE) is an international organization with the goal of promoting the science and art of engineering in agricultural, food, and biological systems. 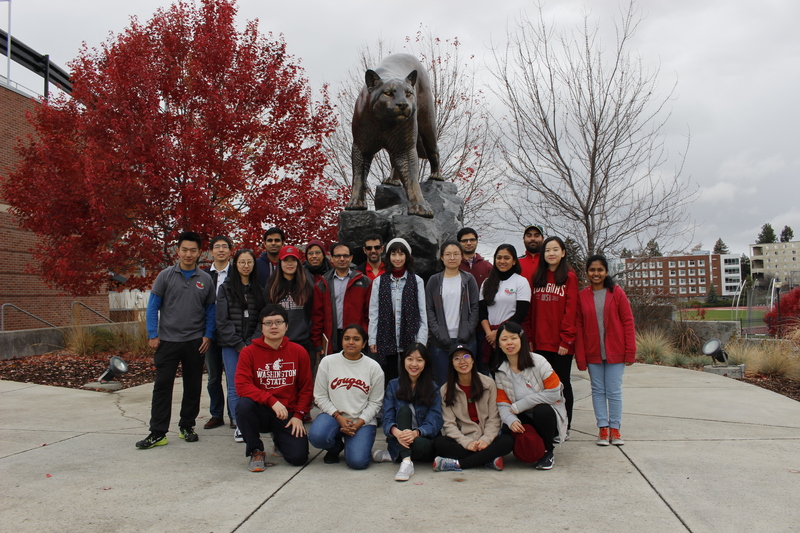 The ASABE Student Engineering Branch at Washington State University is a professional organization created by and for the students with the purpose of encouraging the collaboration among students and faculty, and to conduct outreach activities related to ASABE mission and goals. The WSU Student Branch of the ASABE was formed by BSE graduates students in 2012. Current members can access the ASABE SharePoint site for internal club information. The objectives of the club shall be to foster a close relationship among the Biomass Engineering students, faculty, and other interested students at Washington State University; to encourage leadership, to improve presentation and communication skills, to acquaint students with areas of activity in Biomass Engineering, to promote greater interest in this profession. Food Engineering Club is a Registered Student Organization (RSO), initiated by a group of graduate food engineering students of Washington State University in 2010. The objectives of Food Engineering Club of Washington State University are To facilitate close association among the food Engineering students, faculty, and interested students at Washington State University. To encourage leadership to improve presentation and communication skills. To acquaint students with specialties within food engineering. To promote greater interest in this profession. Please visit the Food Engineering Club Website for more information. Current members can access the Food Engineering SharePoint site for internal club information.